Established in 1964, the Wolseley Register is the oldest and largest Wolseley car club in the UK to cater for enthusiasts and owners of all Wolseley models made from 1895 to 1975. The Register was originally created to list all surviving Wolseley cars, including as former custodians of the Wolseley factory records (now donated to BMIHT), and it continues to strive to help with the preservation and use of all Wolseley cars. 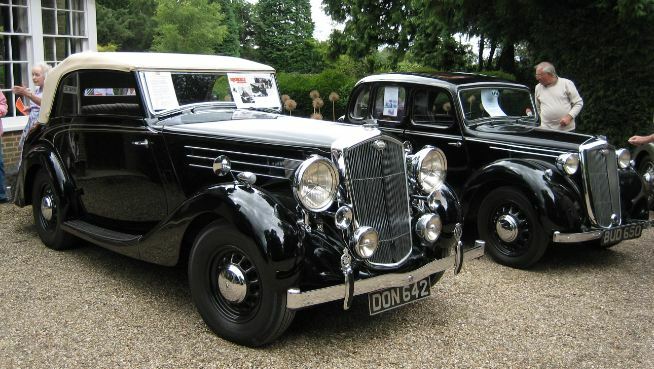 Discounted classic car insurance through Footman James, please click on the link below, or phone the number quoted, stating that you obtained their details from the Wolseley Register. Discounted membership of the RAC, 50% off for new members and 25% off each renewal. Membership of the Register costs £28 a year for an annual UK adult membership. You can apply online and pay by credit card, or download a membership form and post it to us with a cheque.